Alpha Elite Black: Simply the Best! If you’re a law enforcement officer in the U.S., chances are you’re wearing a Point Blank vest with Alpha Elite ballistics. 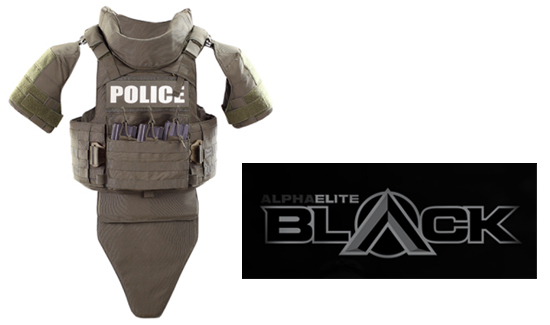 Since the Alpha Elite Ballistic Series hit the market, Point Blank Enterprises has sold over 79,000 vests to U.S. law enforcement. Officers, troopers, and deputies at hundreds of agencies, including Chicago, Houston, Jacksonville Sheriff’s Office, the LAPD, Miami-Dade P.D., the NYPD, the Orange County Sheriff’s Office, Orlando, San Antonio, Texas Department of Public Safety, Utah Highway Patrol, Washington D.C. Metro Police, and various federal agencies, to name a few, have all chosen Alpha Elite body armor to keep them safe. Now the company has a new vest ready for action—the Alpha Elite Black. It provides the same level of protection as the Alpha Elite, but it is 17% lighter—something officers everywhere are celebrating. If you are attending the 2016 Shooting, Hunting, and Outdoor Trade Show (SHOT Show), taking place January 19-22 at the Sands Expo Center in Las Vegas, check out this great new vest at the Point Blank booth. You’ll be glad you did.